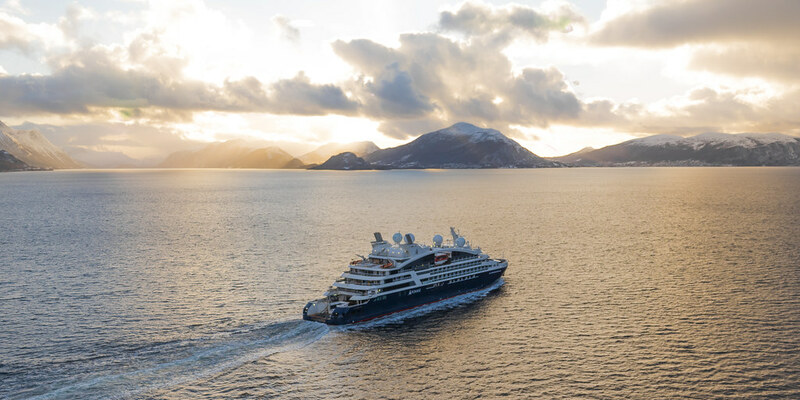 On 5 April 2019, PONANT successfully took delivery Le Bougainville, the third vessel in its exceptional PONANT EXPLORERS series, exactly on schedule. The ship left Søvik in Norway on the morning of 8 April and she is currently sailing to Spain to start her maiden cruise on 15 April from Malaga. She will be officially inaugurated on 4 June. “A dream, firm beliefs, energy and boldness were what created PONANT. It is by drawing on those roots and our expertise that PONANT is preparing today to meet the challenges of tomorrow, to surprise and delight our guests. I wanted the ships in the PONANT EXPLORERS series to embody the very best in expedition cruising. Le Bougainville is the incarnation of that,” said Jean Emmanuel Sauvée, CEO and co-founder of PONANT. PONANT is delighted with its collaboration with VARD, the Norwegian subsidiary of the Italian shipyard, FINCANTIERI, both in terms of the design and construction of the new vessels as well as the respect for the deadlines of the development schedule. 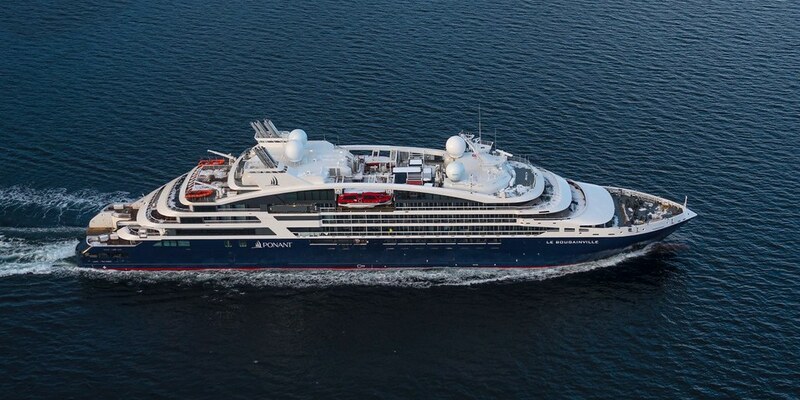 As with all the PONANT EXPLORERS vessels, it is fitted with a world first, the “Blue Eye”. This multi-sensorial underwater salon allows guests to discover and experience the underwater world via two portholes in the form of a cetaceous eye looking out into the sea below water-level, non-intrusive underwater lighting, and hydrophones integrated into the keel retransmitting the natural symphony of the deep water, as well as Body Listening sofas, offering a unique sensorial listening experience by corporal resonance. Enriching the existing fleet (Le Ponant, Le Boréal, L'Austral, Le Soléal and Le Lyrial)and announced in 2016, the development of the new PONANT EXPLORER ships is on schedule.